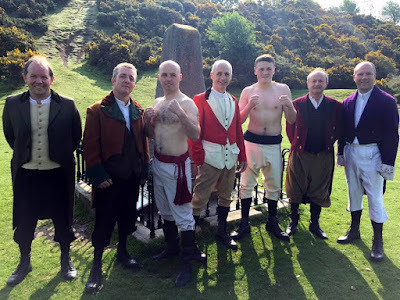 It was dress-up day last weekend for some members of Kilcullen and Ryston boxing clubs, when some filming was done for a local segment in an upcoming series of John Creedon's 'Ireland's Ancient East', writes Brian Byrne. The RTE TV series will mirror a similar one done last year on the 'Wild Atlantic Way', and one of the items is a piece on the pugilist Dan Donnelly. 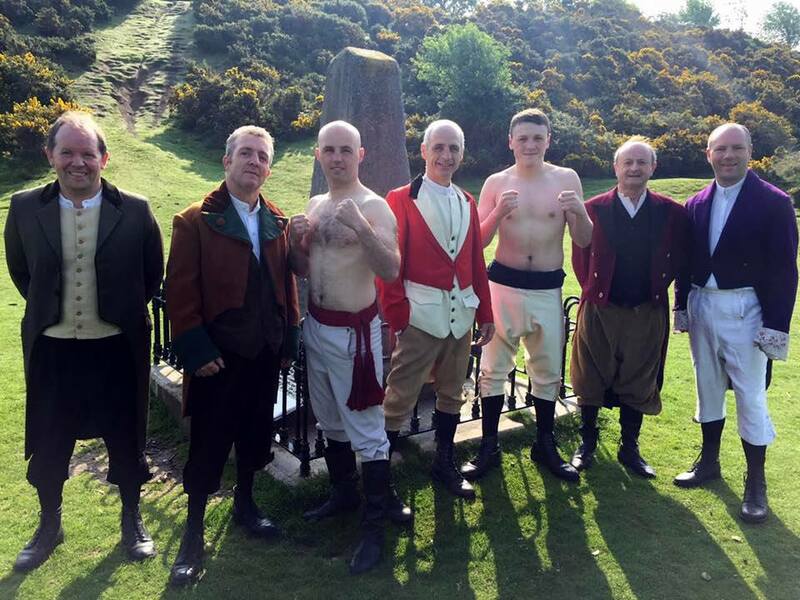 The two clubs took part in a re-enactment of (part of) the famous fight between Donnelly and English champion George Cooper, which was the reason for dressing up. Pictured are Ryston BC coaches Tom McDermot and Luke Connors, boxer Bobby Molloy, Referee Dave Molloy, Kilcullen BC boxer Dan Hoolahan and Kilcullen coaches Joe Orford and Dave O'Brien. The programme makers also interviews Josephine Byrne about Dan Donnelly's mummified right arm, which was a feature attraction in The Hideout from the early 1950s.